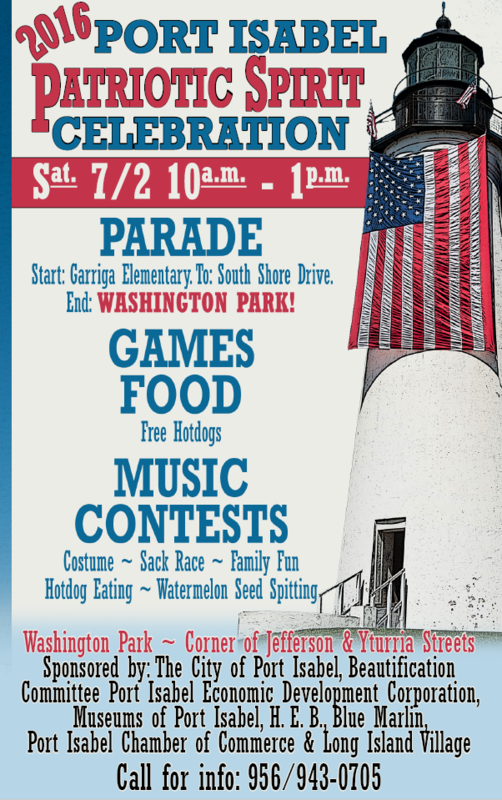 Independence Day Weekend Fun in Port Isabel! This FRIDAY, TEENAGE MUTANT NINJA TURTLES! 9:30 p.m.
Movies are scheduled on each Friday (weather permitting) in June & July at 9:30 p.m. Free admission! Concessions. 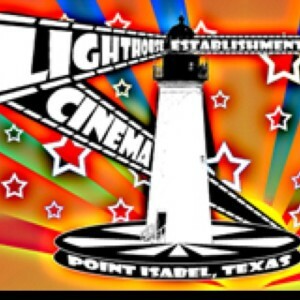 Bring your own blankets or chairs and join us for a unique experience at the Port Isabel Lighthouse! Sunday, JULY 3, from 9 a.m. to 4 p.m., Port Isabel Antique & Flea Market. Beulah Lee Park on Highway 100. Dozens of dealers & thousands of deals! March – October: 1st Sunday of the Month. 1st & 3rd* Sunday 9a-4p November – February. FREE ADMISSION! For more information: Gloria Bates 956/455-6798. GAMES ~ VENDORS ~ FOOD ~ Free Hotdogs ~ MUSIC ~ CONTESTS ~ (Costume~Sack Race~Hotdog Eating~Best Float~Watermelon Seed Spitting). PARADE ~ Start: Garriga Elementary. To South Shore Drive. End: Washington Park. Sponsored by: The City of Port Isabel, Beautification Committee, Port Isabel Economic Development Corporation, Museums of Port Isabel. PARADE ENTRY: Robert Salinas 956/943-0705. VENDOR INFO: Jeannie Flores 956/943-0755. Christmas Lighted Boat Parade @ 6 p.m.! \” alt=\”\” width=\”381\” height=\”255\” />Come enjoy great weather and great family fun with this holiday tradition celebrating its 23rd year! For more information visit: www.portisabel.org/boat-parade. 23rd ANNUAL CHRISTMAS LIGHTED BOAT PARADE! Saturday, December 5, 2009 ~ 6-8 p.m. The 23rd Annual Christmas Lighted Boat Parade is scheduled for Saturday, December 5 at 6:00 p.m. and promises to be the biggest and best yet. The Port Isabel Chamber of Commerce invites boat owners, personal watercraft owners and kayakers or anything that floats to be a part of this special event. The parade will begin at the Port Isabel City Docks and vessels will be judged beginning at 6:00 p.m. The judging criteria will include: first impression; theme; and special effects. Winners will receive a variety of prizes donated by area merchants, including gift certificates, marine items, and much more. There is no charge to enter the parade. Boats will be competing in six overall divisions: commercial; large power boats 23 feet and over; medium power boats 18 – 22 feet and under; small power boats 17 feet and under; large sailboats 26 feet and over; and small sailboats 25 feet and under. The U.S. Coast Guard will serve as lead vessel with Towboat U.S. bringing up the rear. Winners will be announced at the awards ceremony scheduled to be held Saturday, December 5. The parade will begin immediately following judging at the White Sands Marina. It will continue to Anchor Marina and around to Pirate’s Landing and then circling to Sea Ranch II at Southpoint and Long Island Village. 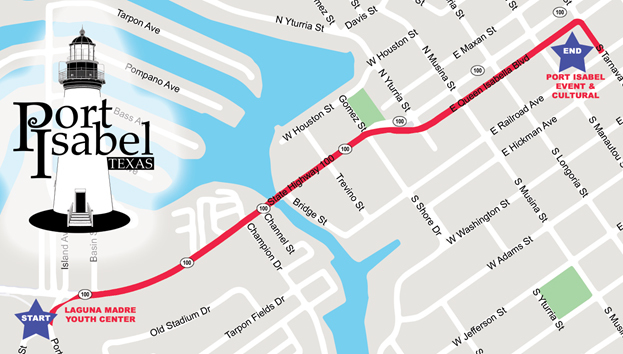 Weather permitting, the parade will continue to South Padre Island with optimum viewing at locations that include Louie’s, Amberjack’s, Wahoo and Fisherman’s Wharf. Ten bonus points will be awarded to vessels completing the route to Louie Backyard on South Padre Island. Boat captains or their designated representatives are required to attend a meeting at the White Sands Restaurant at 4:00 pm on the day of the event. Boat numbers and last minute instructions will be given at that time. Boats will then rendezvous at the Port Isabel City Docks and surrounding areas by 5:30 p.m.
More information regarding the 23rd Annual Lighted Christmas Boat Parade may be obtained by contacting the Port Isabel Chamber of Commerce at 943-2262. www.portisabel.org/boat-parade. The event is sponsored by the Chamber and the Port Isabel Economic Development Corporation, Port Isabel / South Padre Press & Parade, White Sands Motel, Restaurant and Marina.